Dimensions 0 by 9.55 by 11.40 in. Decorating with Flowers | Everyday Flowers | Creative Floral Arranging | Paula Pryke's Flower School | Weddings Flowers | Flower Arranging | Wreaths & Bouquets | Simply Pink | Flowers, Flowers! 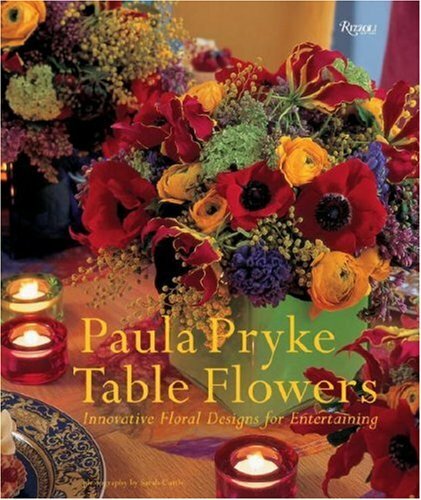 Amazon.com description: Product Description: Paula Pryke's floral designs set the paradigm for excellence and innovation. Her latest book explores the newest trends in floral design and provides hundreds of ideas for bold centerpieces and elegant bouquets to make any table feel festive. About: Paula Pryke's floral designs set the paradigm for excellence and innovation.